The 2016-2017 School year has begun! We wish everyone a safe and healthy year. Soon, you’ll be invited to Curriculum nights, or Meet the Teacher events. We encourage you to bring up traffic safety concerns with your school, and share with us the advice or resources you are offered to keep your kids safe. 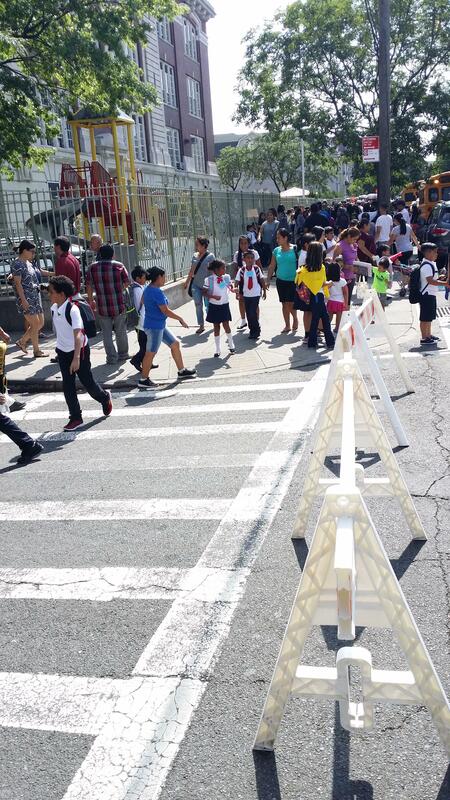 The combination of safe routes and infrastructure, traffic enforcement and respectful, law abiding drivers could make the difference for one of our 1 million school kids. We’ve created a survey and would love your input. ← Phase Two of Queens Boulevard Begins!